Three-time world champion surfer Andy Irons quietly battled with bipolar disorder and opioid addiction throughout his life - demons that millions of people worldwide combat daily. Born and raised on Kauai with his brother Bruce, Andy was an incredible presence on the world surfing stage. Revered around the world for his blue-collar rise to fame and success, he became known as the âPeopleâs Championâ and the pride of ... (weiterlesen)Hawaii. At the same time, many of his friends and most of his fans were unaware of his internal struggle that ultimately led to his untimely demise. As the opioid crisis rises to a national emergency in the United States, the untold story of Andyâs life serves to tear down the myths associated with these two ferocious diseases. Executive Produced by Chris Hemsworth and featuring in-depth interviews with Andyâs family, hiswife Lyndie Irons, as well as friends and competitors Kelly Slater, Nathan Fletcher, Joel Parkinson, Sunny Garcia, and more. Uns sind aktuell keine Sendetermine für »Andy Irons: Kissed by God« bekannt. 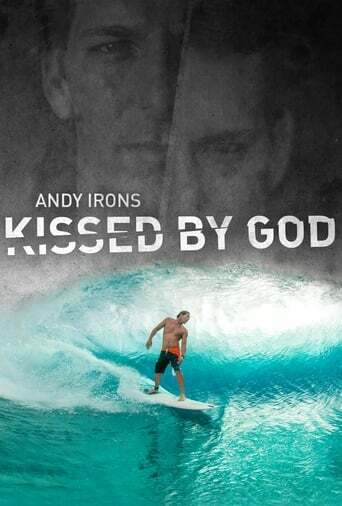 Wie fandest du »Andy Irons: Kissed by God«?